A place where every doubts and problems in your life could be cured with only one way ... shopping, shopping, and shopping. Please take note that this blog is not affiliated to Shopaholics Anonymous (if its exists in Malaysia), both officially and/or unofficially. This September, The Mercedes-Benz New York Fashion Week 207 will be paying a great tribute to one of the most iconic cartoon characters of all time, Snoopy and the Peanuts. The fashion presentation, organized by Insurance and financial service provider Metlife will showcase designs from top designers namely Heatherette, Isaac Mizrahi, Betsey Johnson, and Pamella Roland, all inspired by their favorite Peanuts characters to create a couture runway outfit that will make a bold leap from just black and white sketches to vibrant colors. "Peanuts and the fashion industry have a unique history. 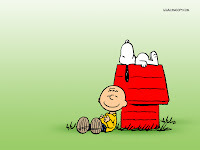 Gianni Versace, Giorgio Armani, Karl Lagerfeld, Oleg Cassini, Fendi, and countless other fashion notables have designed fashion for Snoopy and her sister Belle, which have been exhibited in fashion capitals in the U.S., Europe and Japan," says Jeannie Schulz, wife of Peanuts creator Charles M. Schulz. "Knowing that Snoopy and the rest of the Peanuts gang inspire amazing creativity, I am filled with curiosity and and anticipation to see these 21st Century designs on the runway at the Metlife's Snoopy in Fashion Event in September," she added. Prior to the event, scheduled to kick off on 7th September 27 at 6.00 p.m ET as part of the most anticipated Fashion Week of the year, will enable both Peanuts fans and fashionistas to share opportunity in bidding for the one-off runway collection in a follow-up auction that will be run on Internet's top auction site eBay. Proceeds from the sales will benefit Dress for Success, a non-profit organization which promotes the economic independence of disadvantage women by providing professional attire, a network of support and career development tools that helps them to thrive in both career and life. "A company with celebrated history of corporate citizenship, Metlife is delighted to be the 'top dog' sponsoring Snoopy in Fashion," said Beth Hirschhorn , senior vice president for Metlife's Global Brand and Marketing Services. "For more than 20 years, Snoopy and the Peanuts gang have embodied the dependability, security and warmth associated with Metlife's brand. As we proudly step onto the catwalk with couture for charity, we recognize the scores of women that Dress for Success benefits and are very pleased to be contributing towards helping them achieve their hopes and dreams - the 'its' in life." For designer Isaac Mizrahi, Peanuts represents 'a theme in my childhood to do with not fitting in, with being an outsider'. 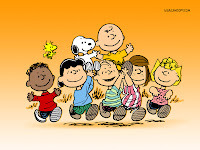 "The Peanuts characters, especially Charlie Brown, made the issue of being different easy to understand and gave it a resolution. 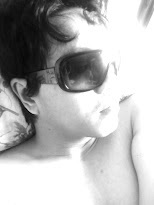 The outsiders were as wonderful and glamorous as the insiders." So if you want to top up your Peanuts memorabilia collection and at the same time doing your bid for good causes then don't forget to bid for the exclusive one-off runway pieces created by the top designers, all inspired by the quirky and witty Peanut characters. I was never a fan of Stepford Wives. Even though it’s just a work of fiction by late Ira Levin, I simply find the storyline distasteful – an atrocious depiction of a man’s ideal utopia: a suburb or state of mind, tuck from the rest of a normal society somewhere near Connecticut where men will always be kings and women will bow to them as slaves. However, no matter how profound my hatred is on Stepford Wives, be it the novel or the films, I could never hate their vibrantly coloured wardrobes and classic silhouettes, epitomising the poster housewives’ look of the post-war age. Well, easily said, think of what you often see on Katy Perry’s svelte body. Now, good news for Stepford Wives’ style worshippers – the Stepford style is back to haunt your wardrobe come next year’s spring/summer season. Yes, that’s what my trusted source says and I ain’t kidding you! So, what can you look forward too? Well, for starters, one can look forward to sundresses and day gowns with skirts blown up to full proportion, tartans and fruity floral prints like the cherries, lemons and pomegranates to name a few. As for evening, stash some cocktail rings in candy hues, pantsuits in jewel toned Thai or shantung silk or dramatic drape evening dresses with elegant silhouettes or with generous embellishments. Ah, what a nice mix of style to shoo away those cloudy economic days next season. Anyway, those that I mentioned above are just some of my predictions. What’ll be in stores for next season? We’ll never know until the fashion week curtains are raised within the next few days. So, before we parting ways, always keep that positive mood on 24/7 and let’s embrace the incoming season with lots of fun-filled roleplays! 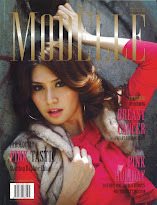 November issue in stores now! Kenzo is back after a long hiatus from Malaysia's fashion scene. Check out their new store with fab new interior concept at the Starhill Gallery. H&M fans, be prepared for Sweden's much-loved high street fashion retailer is going to arrive in style in KL very, very soon! Word has it that the first ever H&M store in Malaysia is set to be located in the heart of KL's Golden Triangle. Want to know where? Watch this space! New York multi-brand store scene is taking Tokyo by storm! First, there was Kirna Zabête; now comes Opening Ceremony! Officially opened last June, Opening Ceremony Japan carries cult clothings and accessories designed by top-notch designers like Alexander Wang, as well as Chloe Sevigny for Opening Ceremony collection! Is Dior flagship at Starhill Gallery getting another round of facelift? Just wait and see. Judith Leiber's infamous minaudiere collection is now available at TriBeCa, Suria KLCC. Fans of Louis Vuitton in Indonesia welcome Louis Vuitton's flagship store at Plaza Indonesia, Jakarta. The store carries complete array of Louis Vuitton goodies, including special items exclusive to the store. Max Mara's flagship store is now open at Pavilion KL. I know how tempting designer goods are and many would do anything to get their hands on them. And since an original bag would set us back at least a one full-year salary, then the only way left to satisfy our temptations is by buying either fakes or replicas. You see, to create something that's lustworthy and iconic is not an hour or two task. It takes not just months but even years for designers to come with something regarded as the 'it' thing by the world. And do you know that it takes more than 20, or sometimes up to 100 working hours for a craftsman to put an 'it' bag together, compared to the mere 3-5 hours taken by a machine to do the same thing! Painstaking? Yes, it is! And what's more, I hate how the way many replica or fake branded goods-selling websites boasting how they could create the similar thing using so-called new technologies and stuff. Just put yourself in the shoes of an artist who has been working hard to get his name and creation well-loved and recognised by the world, and you certainly feel the pain and agony he or she feels, even though the fashion house might be paying him thousands or millions in monthly salary. So people, start reconsidering what you're doing. It's never to late to save your money for something that's worth your hard work all these years. Besides, designer bags will always be in fashion even when their 'it' days have long gone. Support real designers and say NO to replicas and fakes.